Scaffolders plan and build temporary work structures out of wood or metal that provide other workers with safe access to places they work. They work on construction or oil and gas sites. 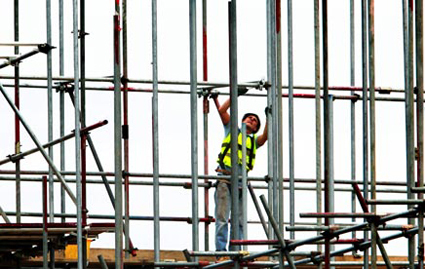 Scaffolders can have various training and experience backgrounds. Educational institutions across Canada offer carpentry programs which provide scaffolding training. You can visit the Alberta Carpenters Training Centre or the Scaffold Industry Association of Canada to find out more. Find a Scaffolder job by checking out our Job Postings.